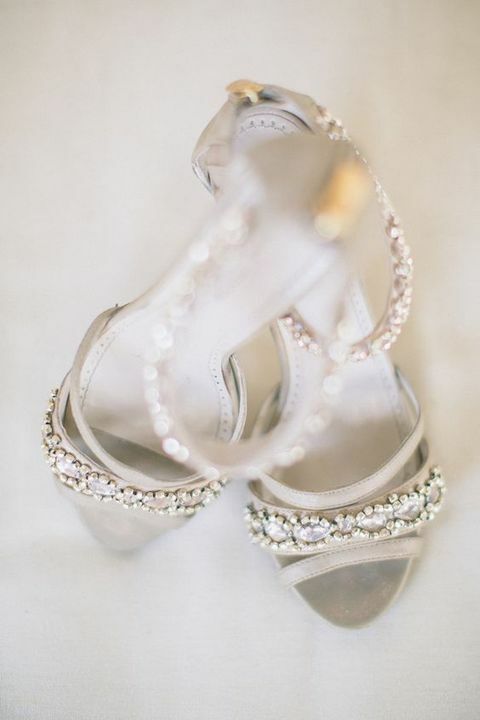 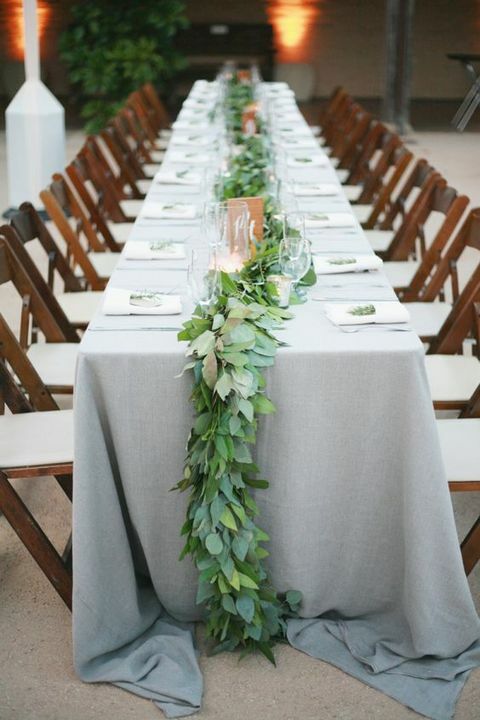 Grey is one of the trendiest colors for weddings, it’s perfect for any types of color combos, from contrasting to neutral, I can really say that grey is a new black in the wedding world today. 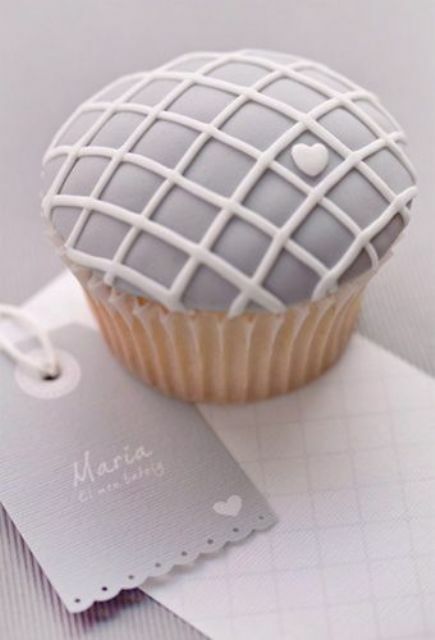 The most popular shade of grey here is dove grey, which is very delicate and light. 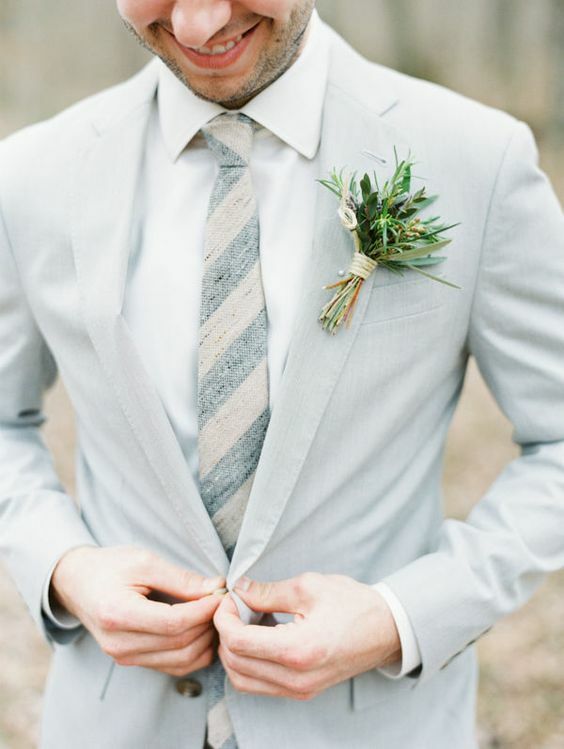 Dove grey can be used in various combos but many couples prefer to go just for it and maybe white or cream. 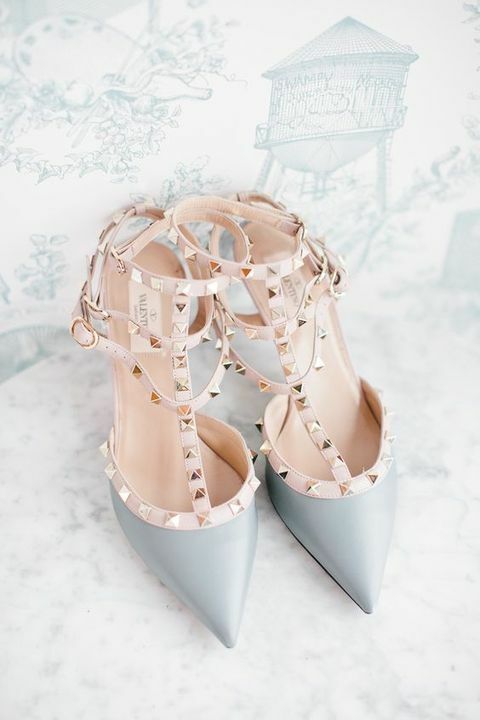 If you are obsessed with this shade, too, we have a plenty of ideas for you! 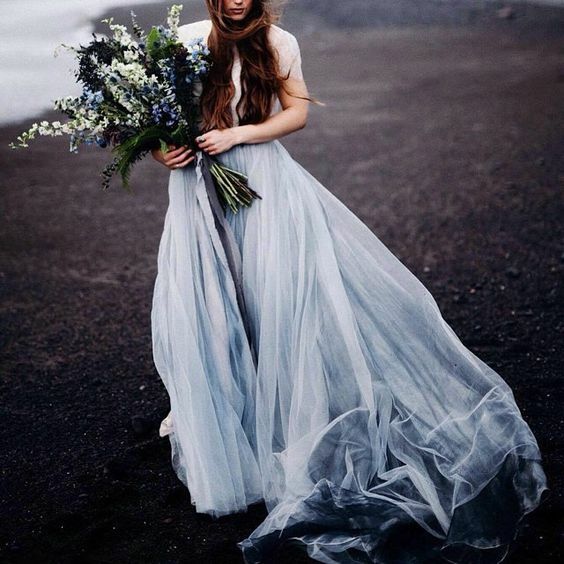 Wedding attire in this shade is amazing! 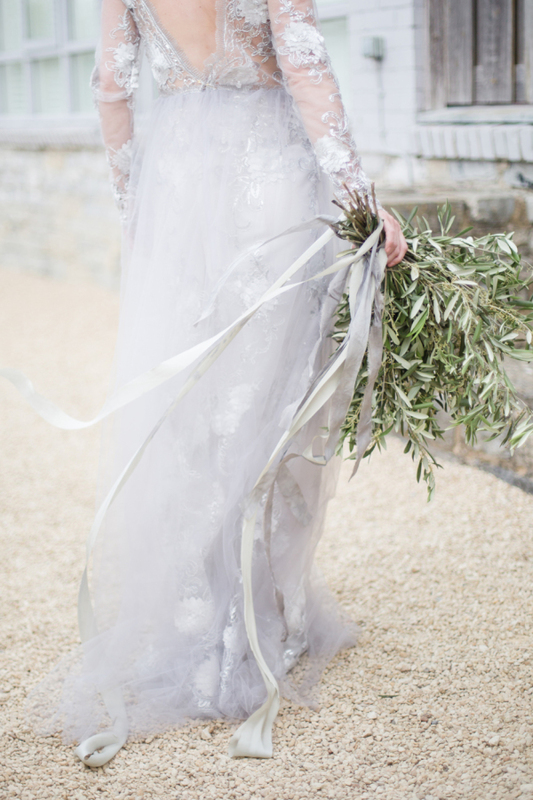 It’s stylish and absolutely timeless, whoever you take but my personal love is off-white and grey wedding dresses – they are so ethereal and delicate, I just can’t take my eyes off these brides! 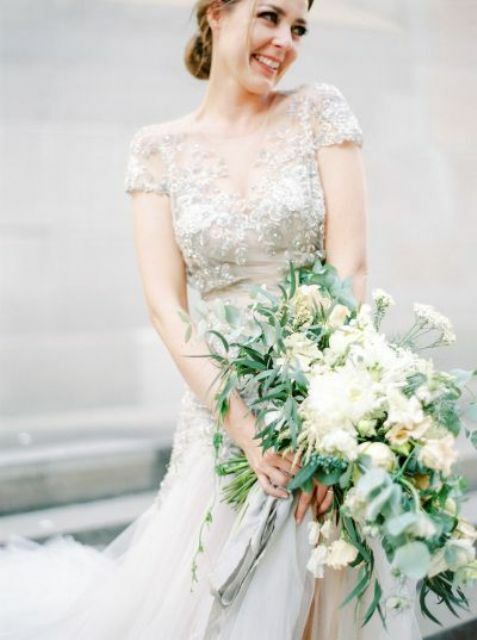 Beautiful tulle off shoulder dresses, stunning intricate lace and beaded gowns with V-neck and cap sleeves – isn’t that a dream? 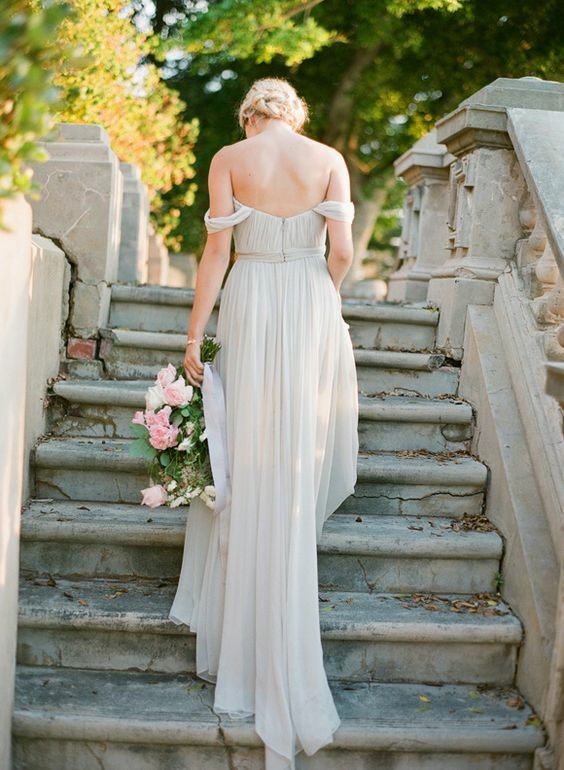 Such a dress fits any wedding style, from seaside to garden weddings. 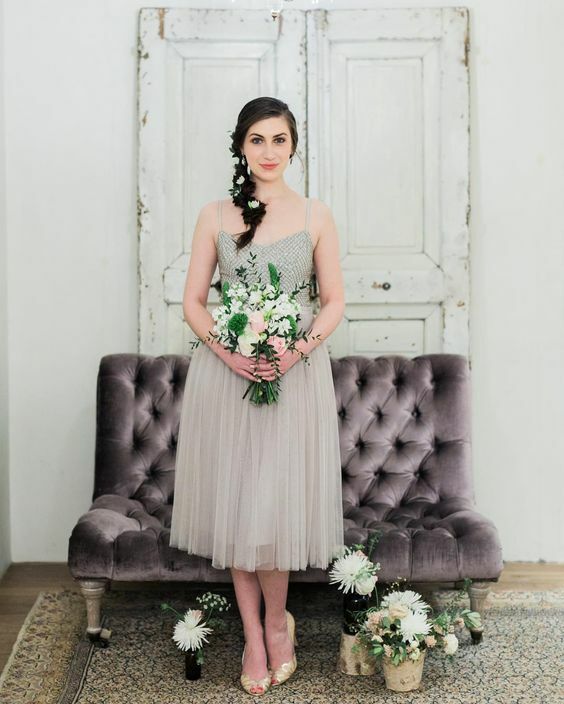 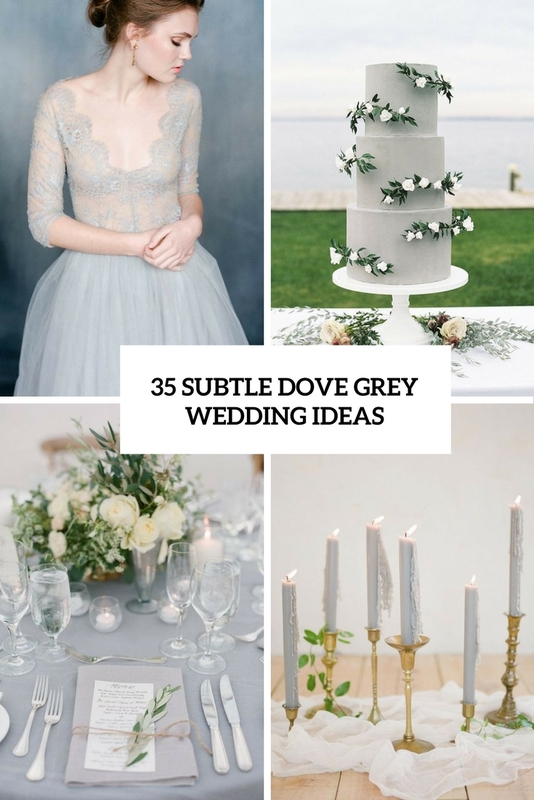 You can also find trendy bridal separates in dove grey or even a cream bodice and a dove grey skirt for a contrast. 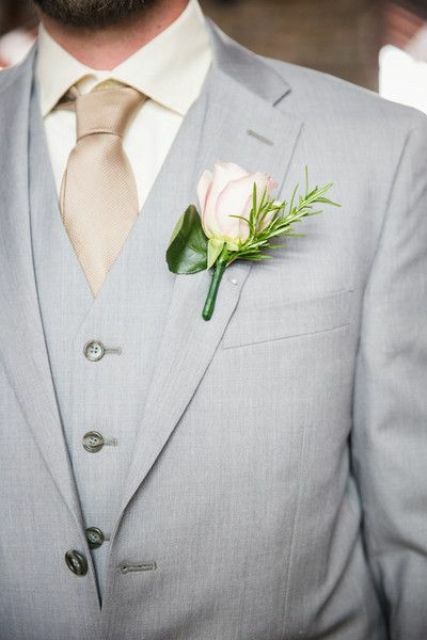 If you want a traditional dress, dress up your groom in grey then: buy a dove grey suit for him and some matching tie. 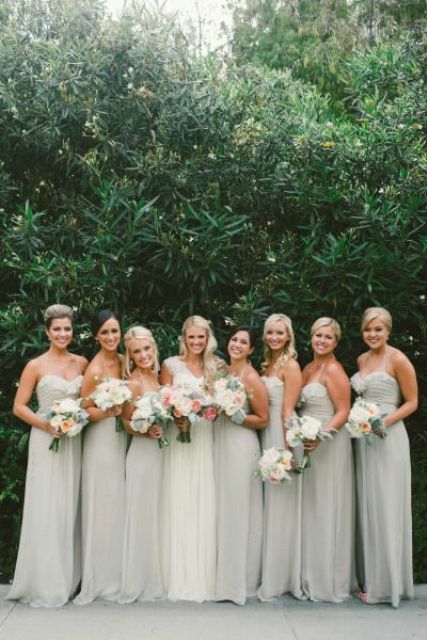 Another idea is to dress up your gals: buy dove grey maxi dresses for the whole bridal party. 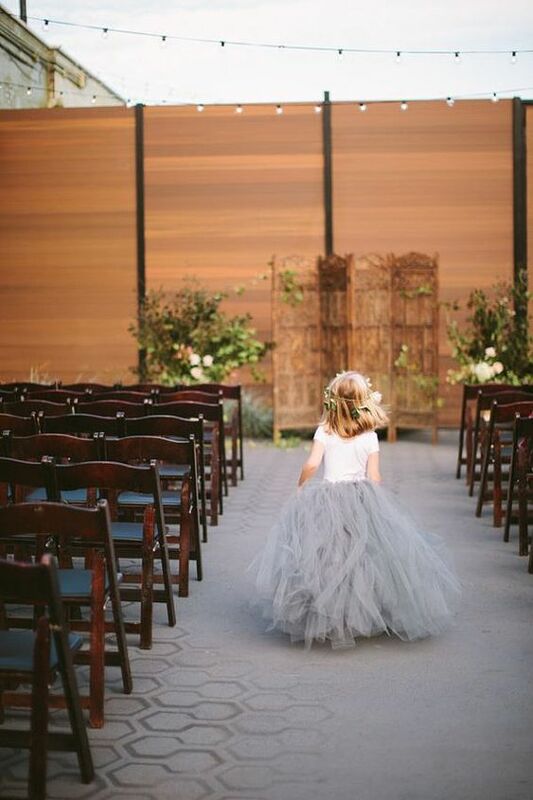 Don’t forget the smallest maids: the flowers girls can also wear dove grey or at least dove grey tutu skirts. 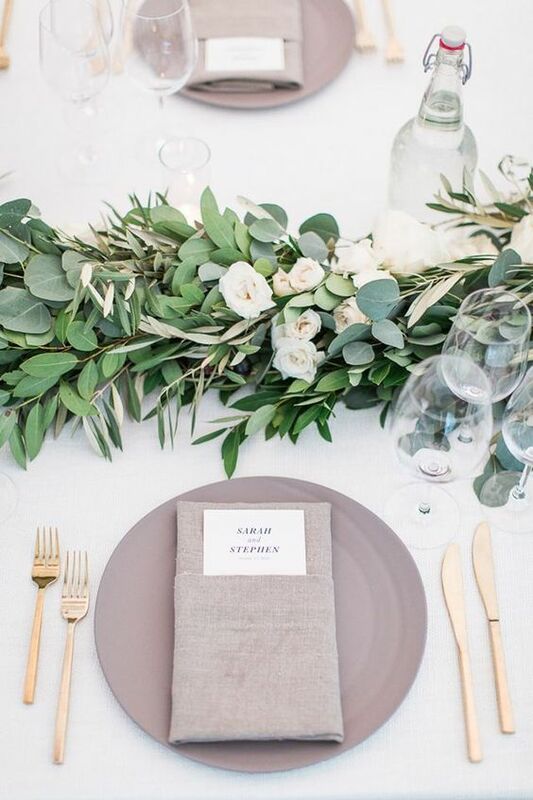 The wedding décor can be also done in this amazing shade. 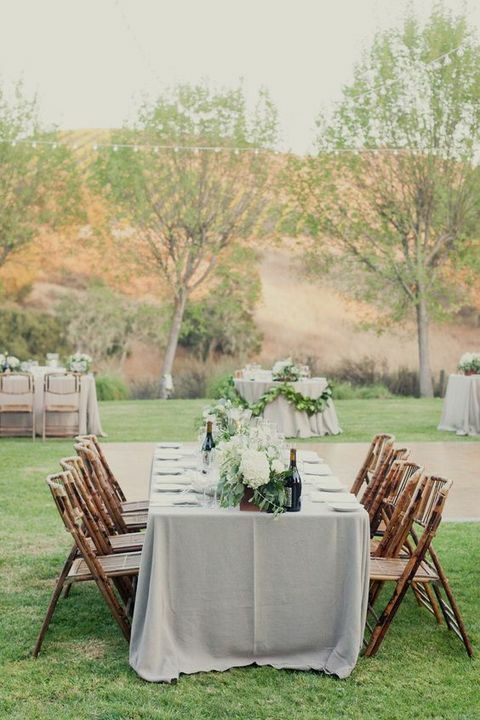 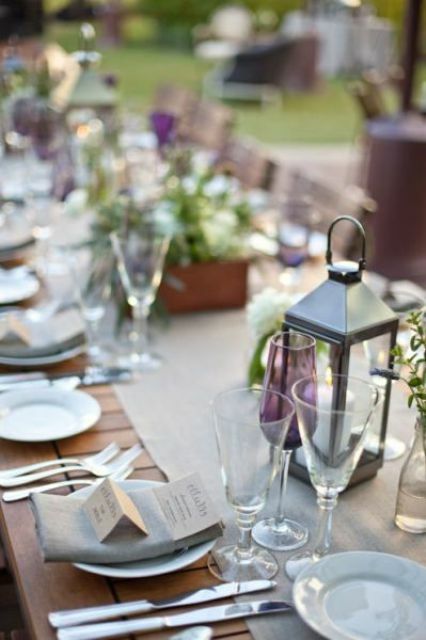 We advise, first of all, textiles in this color because dove grey tablecloths and runners look amazing with any other colors, from creamy to plum ones. 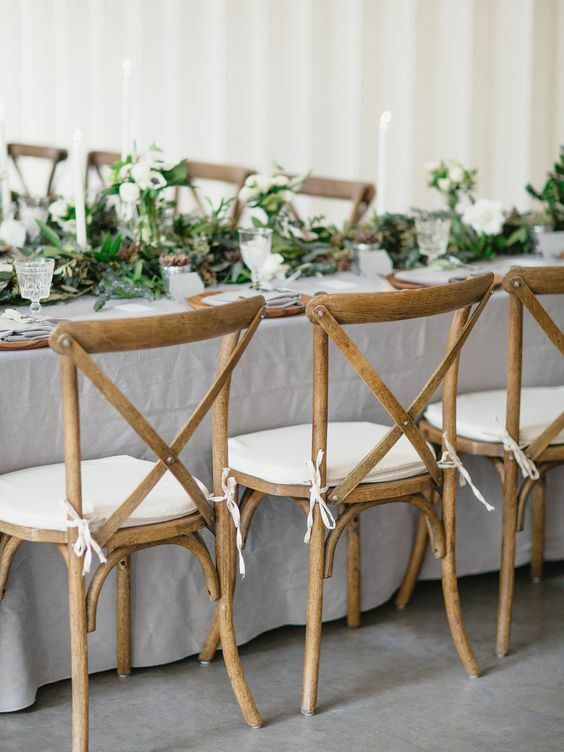 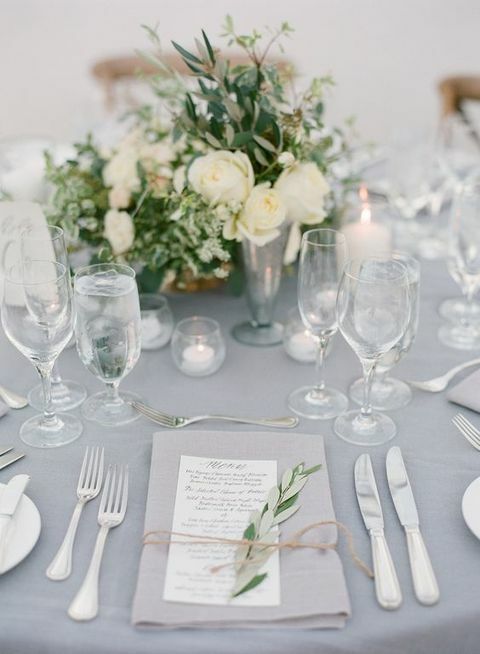 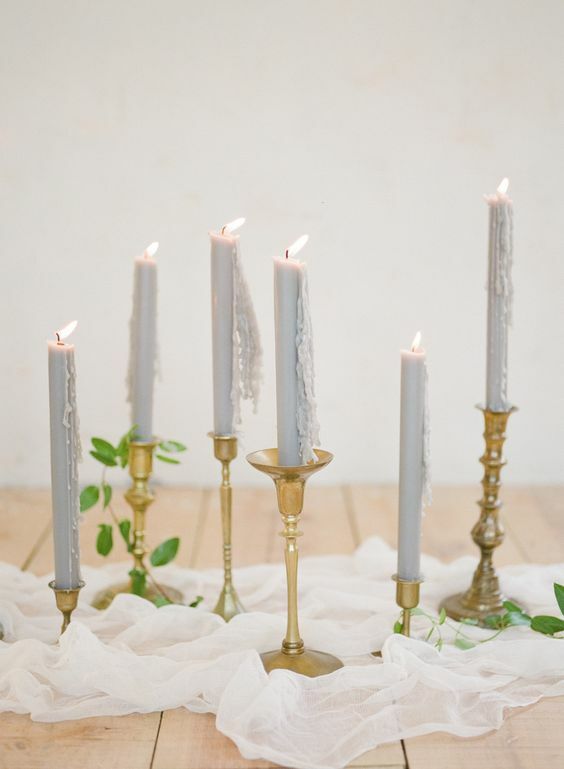 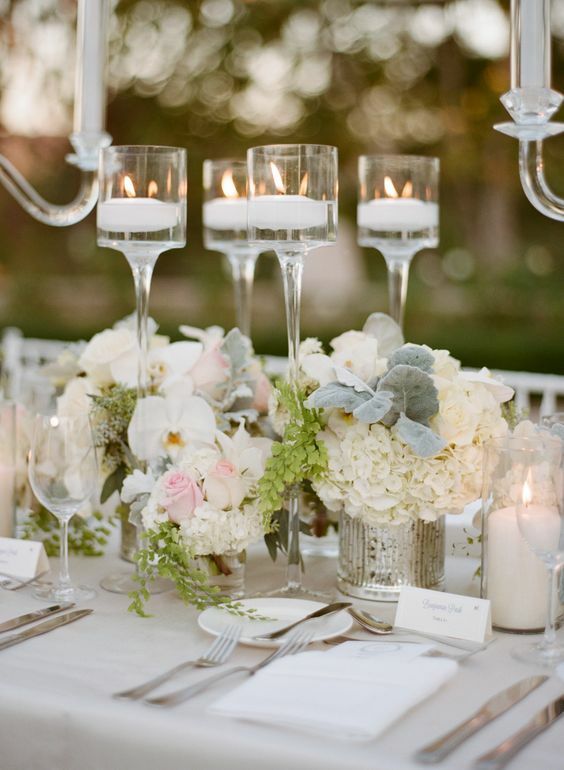 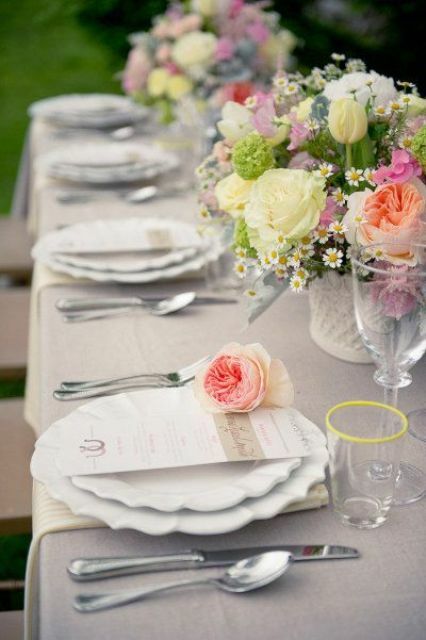 Some gilded candle sticks and creamy florals will help you to create a refined and timeless tablescape; white flowers and tablecloths but dove grey place settings will look peaceful and very elegant. 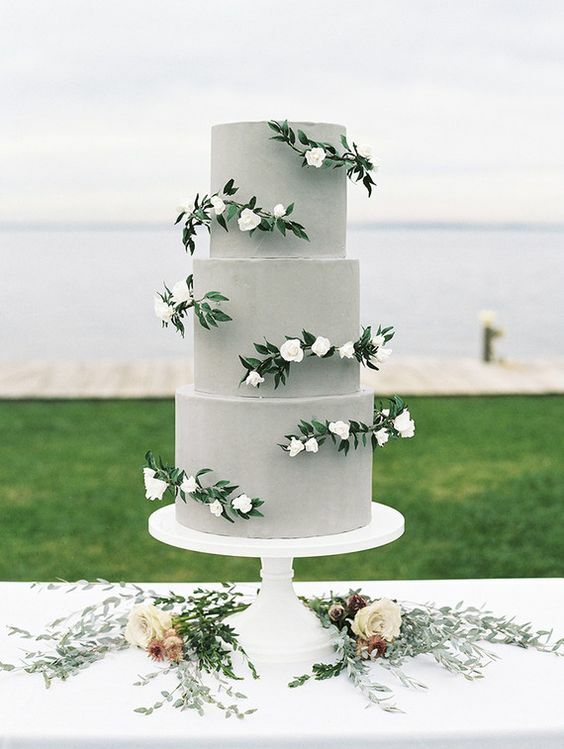 Dove grey looks amazing with greenery and florals of any kind, so don’t hesitate to use all of them, as much as you need. 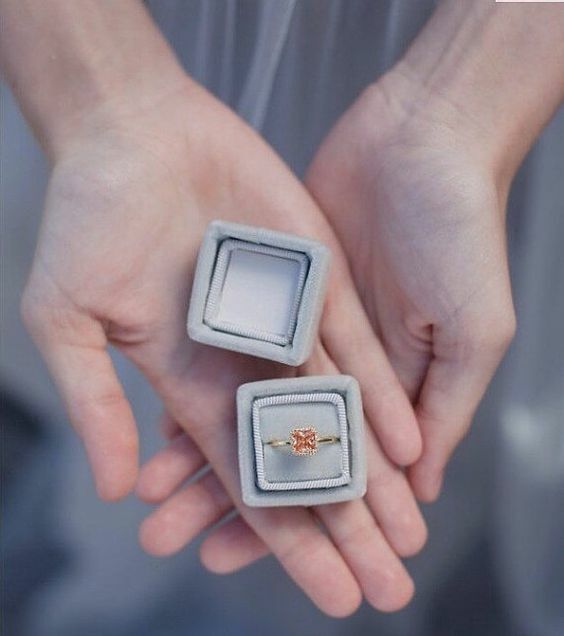 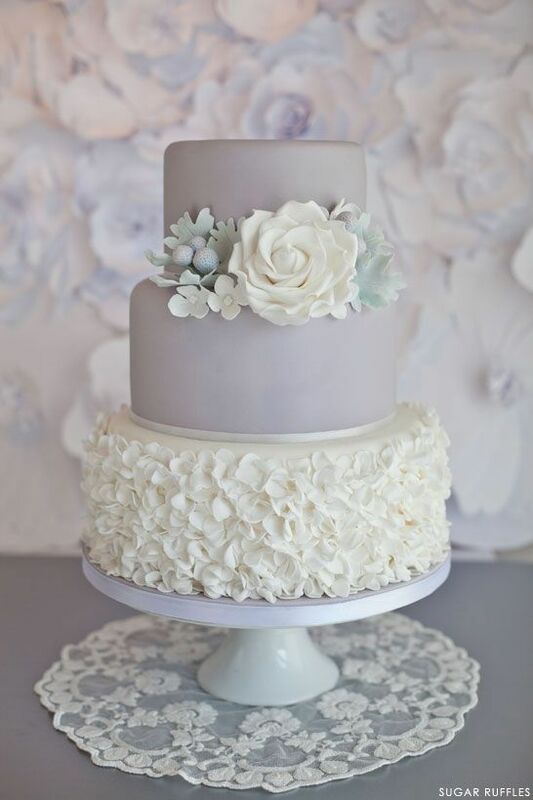 Keep the wedding treats, and first of all, desserts in the same delicate color. 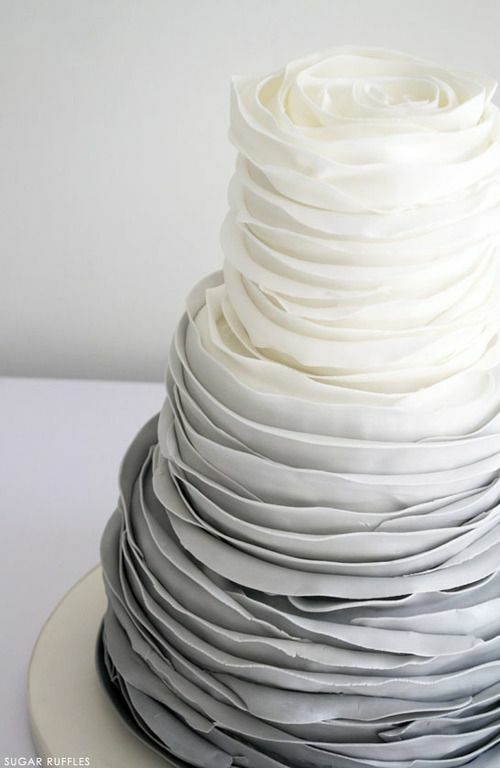 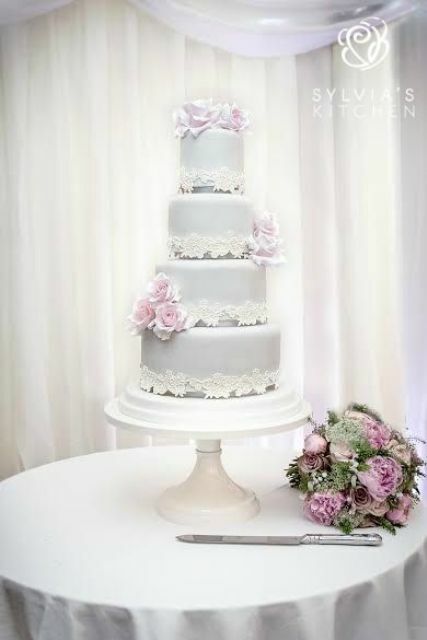 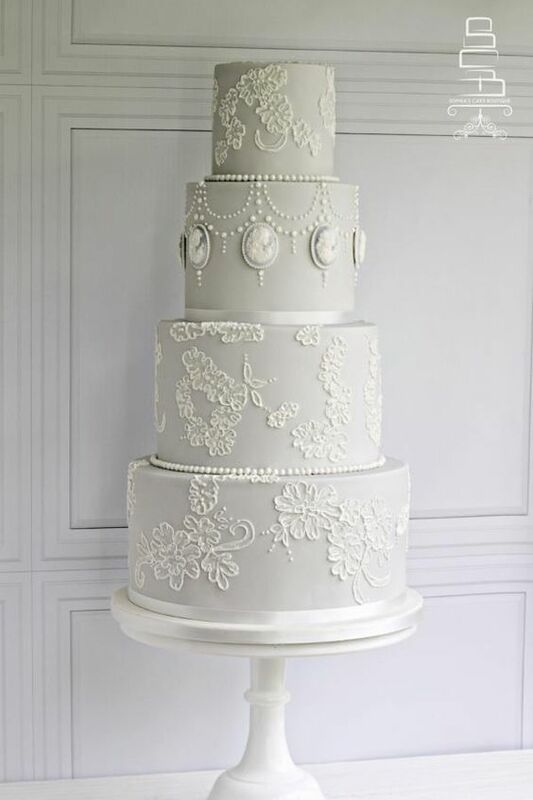 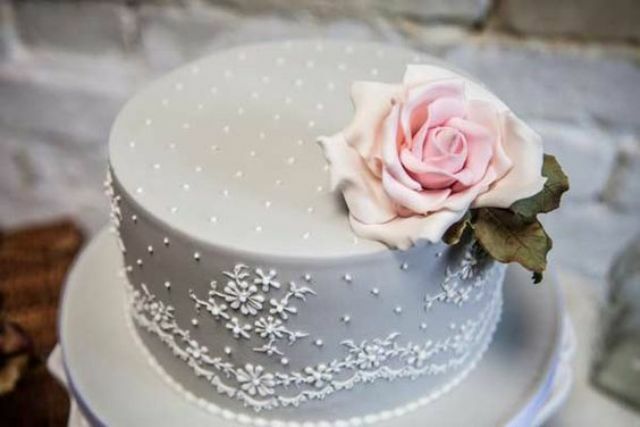 Order a cake, cupcakes, macarons and pops in dove grey with the décor that coincides with your wedding style: lace for a romantic wedding, simple plain for a modern wedding, topped with flowers and greenery – for any wedding. 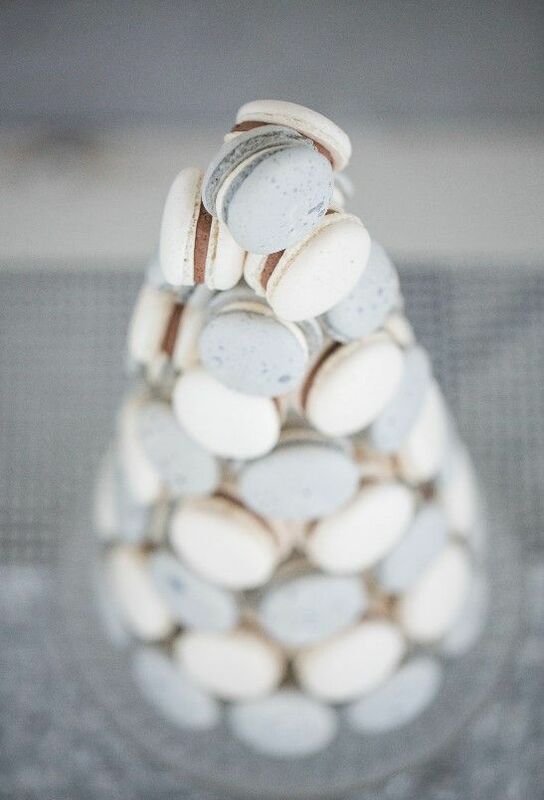 Get inspired!